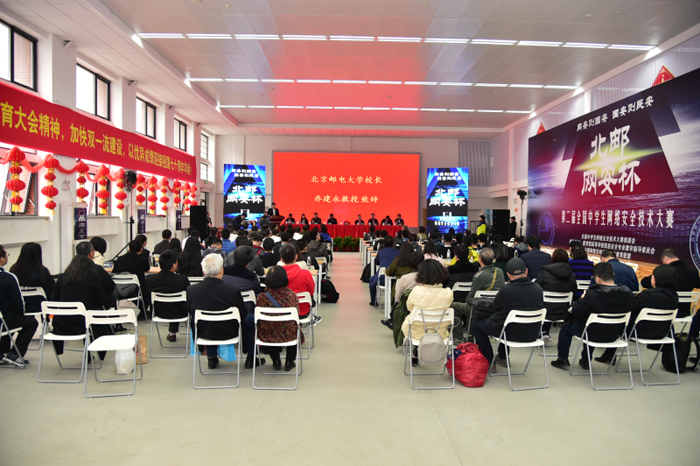 On March 17, 2019, the offline finals of the 2nd "BUPT Cybersecurity Cup" National Cybersecurity Technology Competition for Middle School Students was held at Beijing University of Posts and Telecommunications(BUPT). Present at the closing ceremony of the competition were BUPT’s President, Qiao Jianyong, Vice President and also host to the ceremony, Guo Jun, and leaders of Cybersecurity Coordination Bureau of Cyberspace Administration of China, China Guanghua Foundation, Advisory Committee of Cyberspace Security Teaching in Higher Education of Ministry of Education, Cybersecurity Association of China, Beihang University, University of International Relations, Beijing Institute of Technology and other relevant institutions. 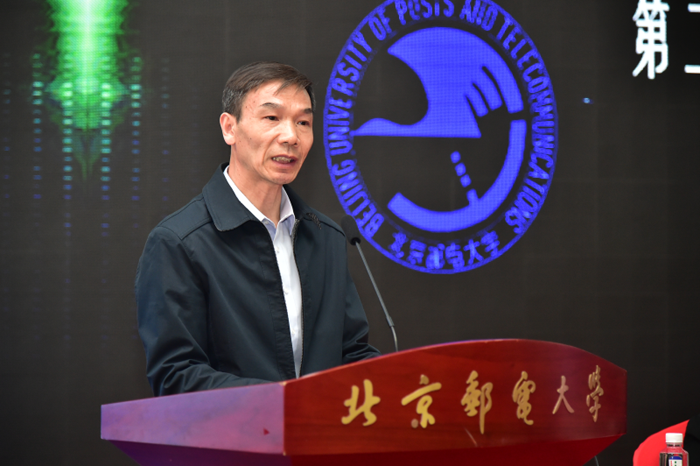 At the closing ceremony, Qiao Jianyong delivered a speech on behalf of BUPT. He pointed out that the rapid development of China's IT application kept presenting us with new demands on the cultivation of cybersecurity talents, the need for talents with outstanding cybersecurity technology especially urgent, and that Beijing University of Posts and Telecommunications had carefully studied and implemented the summary of General Secretary Xi Jinping’s significant explications on the cybersecurity and IT application, and had exercised it in the whole process of talent training, attaching great importance to building the combat capabilities of cybersecurity talents. 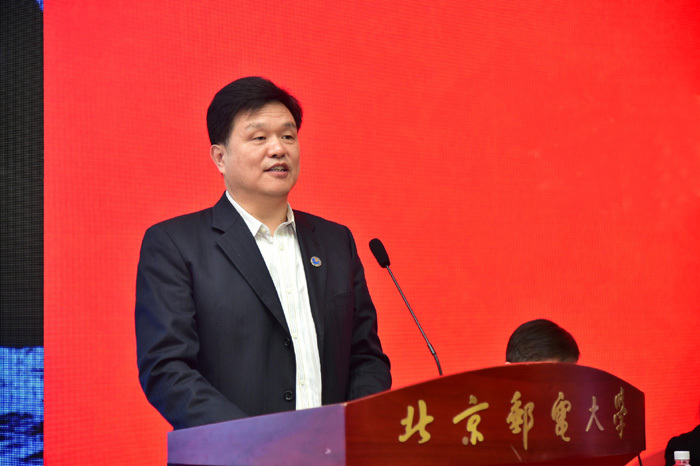 He encouraged the players to take this competition as an opportunity to fully feel the unique cybersecurity culture elements in BUPT, and in this way they would be able to stand out in the field of cyberspace security as soon as possible and constantly make breakthroughs in core technologies, making a contribution to the construction of a cyber power as well as the rejuvenation of the Chinese nation. The 2nd "BUPT Cybersecurity Cup" National Cybersecurity Technology Competition for Middle School Students was a great success, which was a platform for technical exchanges and talents for Chinese middle school students with a strong interest in cybersecurity technology. Since the start of the competition, a great number of middle school students and their parents have shown great attention on it. Middle school students from 27 provinces, autonomous regions and municipalities participated in the competition. After fierce competitions during the online preliminaries, 42 middle school students with excellent performance in preliminaries stood out and participated in the offline finals held at BUPT on March 17. The players fully demonstrated the strength of such cybersecurity technology as web security, online programming and reverse analysis. Finally, 1 first prize, 5 second prizes and 10 third prizes were selected.